Another expected outcome from experiences with this outdoor classroom will be more relaxed students, as well as more relaxed teachers and staff. This area can be used during lunch times for students and teachers to sit individually or together to help create better student-teacher bonds. A better bond between a student and teacher can allow for increased attention and participation of the student in class, which may help with increasing student grades (Chawla, 2007, p. 161). I want all the people in the school to view this outdoor classroom as a place to get away from it all. Yes, you will still be learning in this outdoor classroom, but it is also a place to de-stress and not worry about the deadlines and homework that you may have inside the doors of the school building. “Research has linked views of nature with restoration from mental fatigue and stress reduction” (Matsuoka, 2010, p. 273). This is exactly why there should be an outdoor classroom at every school. So many students and teachers are bogged down by mental fatigue, and are unable to work to their fullest extent possible. An outdoor classroom can provide the necessary views of nature as to reduce mental fatigue as well as stress. Not only will students and teachers be revitalized from exposure to nature in this outdoor classroom, but analyses have also found that there are “… positive relationships between nature exposure and student performance” (Matsuoka, 2010, p. 273). In that study, student performance consisted of standardized test scores, graduation rates, as well as the number of students planning to attend a four-year college. 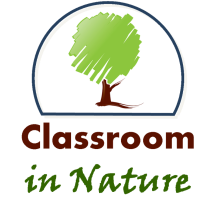 Overall, the positive impacts of creating and utilizing an outdoor classroom are numerous and there may be some additional less visible benefits not yet discovered. Students can mentally, socially, and physically develop better in such an environment, teachers and students can de-stress, and student performance can be raised. All of these reasons, and others, are powerful to justify the building of an outdoor classroom, where students can learn important topics and discover new and exciting objects and ideas outdoors.